Beverly and the Onobasulu | Where would you be without God's Word in your heart language? What is Beverly doing now? Today the main focus of my work is concentrating on my return to Papua New Guinea! I am checking off the many items from my very long ‘to do’ list. Although my heart is excited about returning to the work I love as a Bible translator for the Onobasulu people, it will be difficult to say goodbye to my loved ones here in the USA. The first of the two main items to be completed is my PNG resident visa which is in it’s final approval stage. Pray with me I’ll soon have my passport back with the PNG visa. The second item to be completed is my team ofWycliffe ministry partners. Wycliffe uses and approves a ministry budget for its members. This budget reflects the amount needed to fund each ministry. Wycliffe requires its members who have financial need to develop financial partnerships with individuals and churches to fund its tax-exempt purpose and to meet their full ministry budgets. As I write this letter, I need just less than $300 pledged per month. Thanks for praying that I will soon reach my full 100%. I’m aiming for May departure. 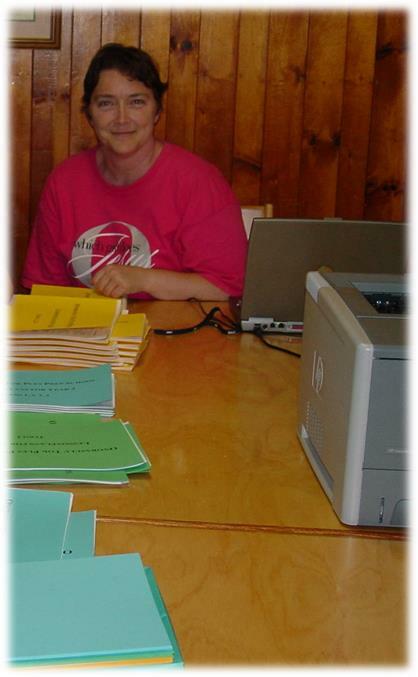 Below is a picture of me preparing materials for the Onobasulu literacy program. For those of you who are receiving this letter by hard copy, if you would prefer to receive my letters via email, please let me know your email address. My email address is below. * For my many faithful prayer and financial partners. Yes, that means YOU. 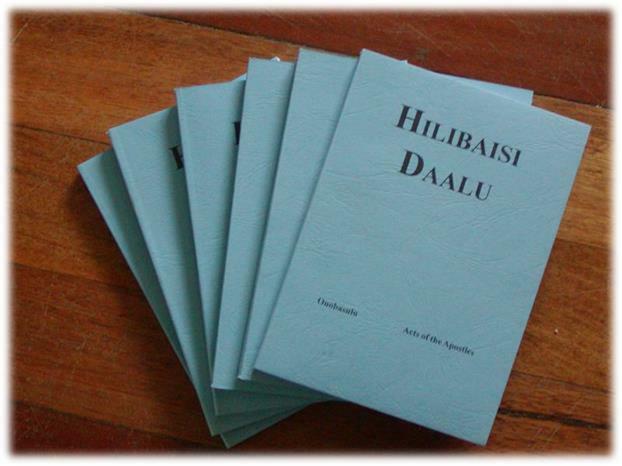 * For wisdom in shaping the next season of my ministry with the Onobasulu translation program. In February, I boarded the first of my flights to Papua New Guinea. I had suitcases filled with clothes and work materials. I also had a long list of work plans for my short time in PNG. I knew even then that my list was too long. However, I was so excited to be headed back to work face to face with my Onobasulu co-workers. I did get work done, in spite of God shaking up my plans. Early in the morning of February 26, a very strong earthquake was epicentered quite near to the Onobasulu language area. It had been almost 100 years since a quake this strong hit our area, therefore, no one alive during this quake could remember this kind of experience. A large portion of our language area, as well as surrounding areas, sustained huge damage. The damage includes loss of or damage to houses and landslides that took out gardens and covered sago palm plantings. The landslides also dirtied fresh water supplies. Many areas have huge cracks in the ground. And most frightening, the aftershocks continue to occur. The aftershocks have lessened in frequency and intensity, but are still happening too often for everyone’s comfort. Amazing work has been done by a combination of agencies to get relief aid into the stricken communities and medi-vac injured people to regional hospitals. So many people have been involved, I will not even try to list them all. Thanks so very much to all who are helping! Here is something that blessed my heart so much just one day. 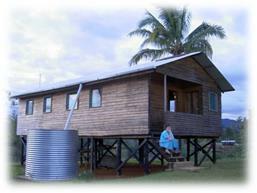 Our main working base in PNG is a small town up in the Eastern Highlands Province called Ukarumpa. There is one small store there. 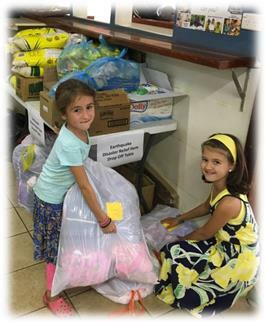 The store had made arrangements that individuals could buy supplies or donate clothes, etc. Then these goods were flown out to the area. One day, I was in line waiting my turn to check out. I notice two young girls were paying for a couple of small purchases. They made sure to ask for the special sticker showing that the items are for the relief effort. The girls carefully counted out the cash, as their mom watched. They put their items on the table. By the time that I was checking out, they returned with bags of clothes. You see, their dad is one of the pilots flying the relief supplies to the region. After family discussion, the girls decided to use some of their own money to buy food, and sorted through and donated some of their clothes. I just stood there, watching, and trying hard not to cry. Their mom took this photo for me to share with you. What are my work plans now? I am glad that you asked! I am now officially on furlough. This means I need to report to my current prayer and financial partnership team. I need to find some new prayer and financial partners. How are you involved in the Onobasulu translation program? Would you consider increasing your involvement? Would you like to invite some of your friends to be a part of our team? Please contact me so we can make an appointment. I am hoping to return to PNG in very early 2019, so we have lots of work to get done between now and next January. Thanks for praying. I arrived in Ukarumpa February 23, 2018, with a very long list of work items to accomplish. I knew even then that the list was too long. Wow! God has really changed my plans. That first Saturday, February 24, a co-worker had a bicycle accident breaking his collarbone injuring his shoulder. That changed my work plans a small amount. Please pray for Johann Alberts as he has surgery on his shoulder later this week. Early Monday morning, February 26, Papua New Guinea experienced a 7.5 earthquake. It’s epicenter was very near the area where the Onobasulu people live. In this map, Mt. Bosavi is the cone shape in the southern section. The inked in outline is basically the borders of the Onobasulu people. As you can see, a pie shaped piece goes up the side of Mt. Sisa. This is where the first large 7.5 quake was centered between 3:30 and 3:45 a.m. Monday. 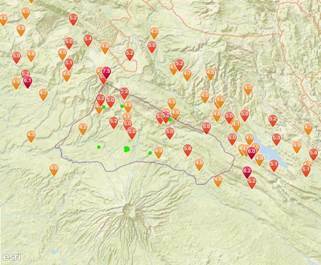 The other pins show just a part of the numerous aftershocks that are still occurring, even until today. The green dots are approximately where the larger Onobasulu villages are located. The larger green dot is Walagu. Anna Stoppels, another co-worker, was actually in Walagu on Monday, February 26. Tuesday was the day she had planned to leave Walagu. Her last week in Ukarumpa partially overlapped with my first work week. We were able to discuss work issues, as well as catching up as friends. 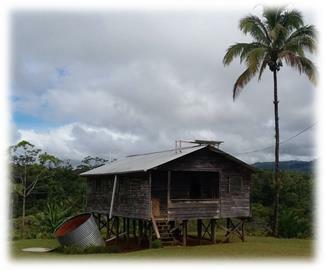 Ukarumpa is a small town used as base of our work here in PNG. 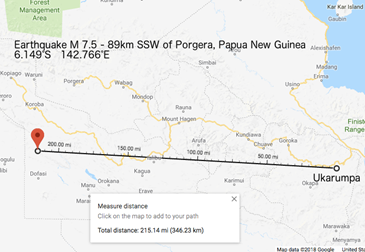 This shows how far Ukarumpa was from the epicenter. I did feel the earthquake that night. I thought, “Oh no, that is bad somewhere!” At that time, I did not know it was so closely centered to where I work. I hope soon to get more info to you. 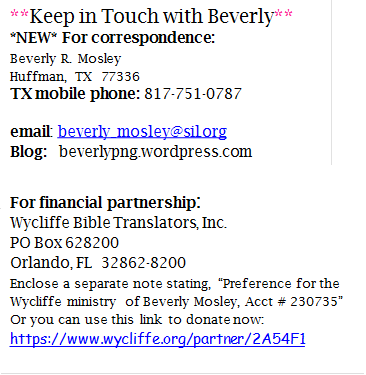 Thanks for praying for Beverly Mosley during the month of February 2018! Check the newsletter page for my January 2018 newsletter!